It’s one of the most hotly contested awards of the World Cup, but forget about The Golden Boot, this year, there is an even more prestigious accolade up for grabs... The Golden Tweet. As the likes of Harry Kane and Romelu Lukaku fight it out to be crowned top goalscorer, Twitter will be battling to be amongst the top Tweeters of the #WorldCup. Throughout the tournament Twitter will be analysing data to identify the biggest Tweets, based on the number of Retweets within the UK. Following the final on June 14th, the most popular Tweets across five categories will be crowned Golden Tweet winners. 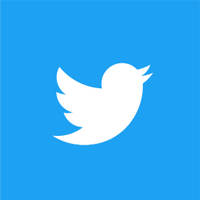 The fan, player, team, brand and pundit that amass the most Retweets will be presented with a stunning trophy featuring the iconic Twitter bird turned gold .